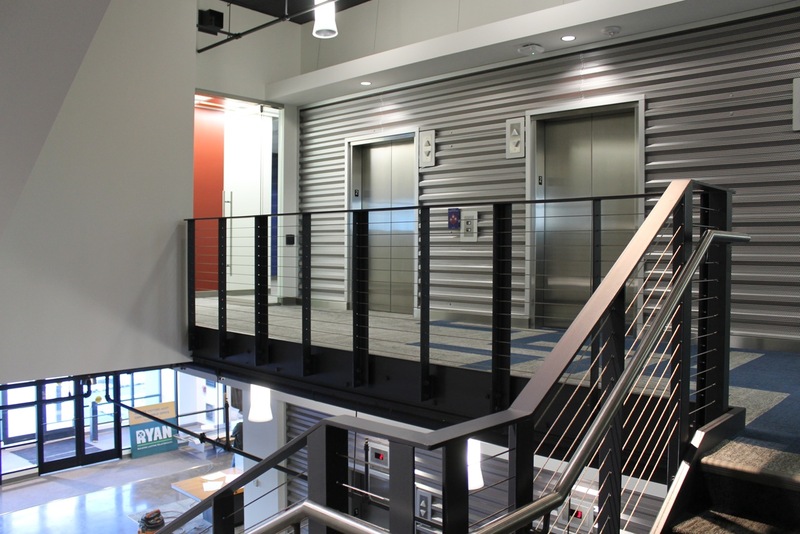 Am-Tec Designs, Inc. recently completed a fabricated steel stair featuring stainless steel cables with a beautiful stainless steel hand rail for the new industrial looking Polaris Headquarters. This commercial construction project was completed on time and within budget. Am-Tec Designs, Inc. proudly uses only USA forged steel in all of its fabrication projects. 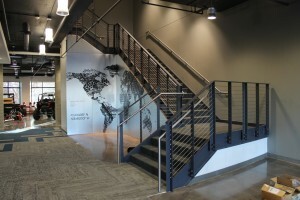 This project consisted of both steel and stainless stair railings for the main staircase. These two types of metals are the finest quality metals and provide the most durability and versatility among the options for stair railings keeping maintenance down to a minimum. 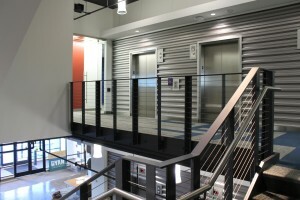 You can’t go wrong with stainless steel stair fabrication for commercial projects.